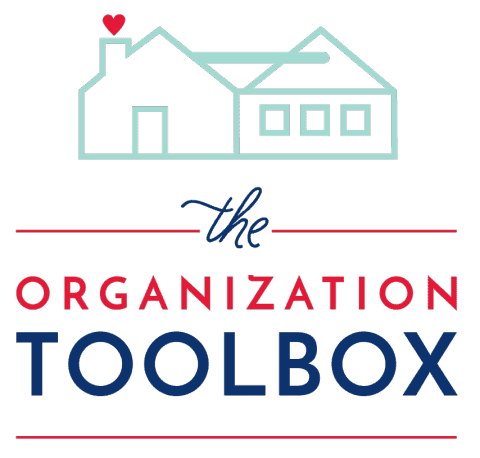 I’ve been hard at work on the latest printable kit(s) for The Organization Toolbox, and to say I’m pretty giddy over this month’s addition would be an understatement! I have been wanting to create these newest kits for forever…so not only am I super excited that they are finally done, but I’m practically over-the-moon with how fun and functional they turned out! 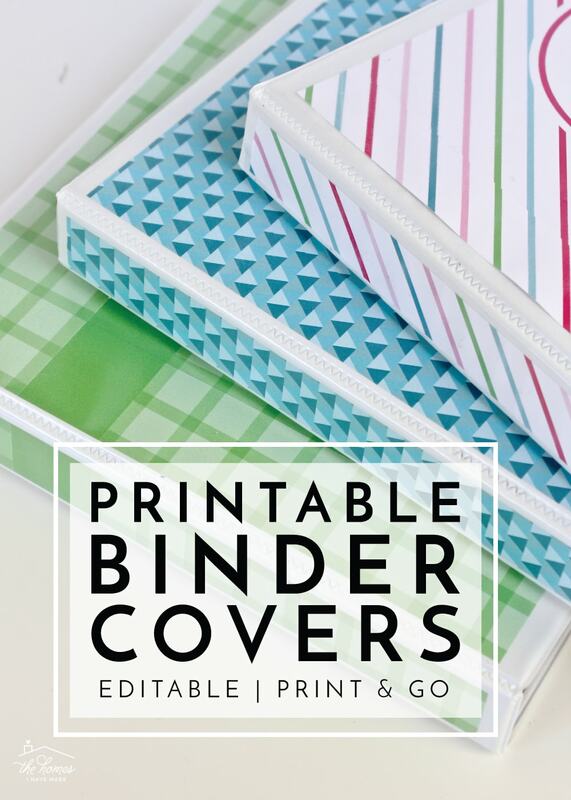 If you (or someone in your household) is heading back to school or if you are just a self-proclaimed paper nerd like me, you’re going to love the whole host of Printable Binder Covers, Spines, Dividers, and Tabs just uploaded to the Toolbox. 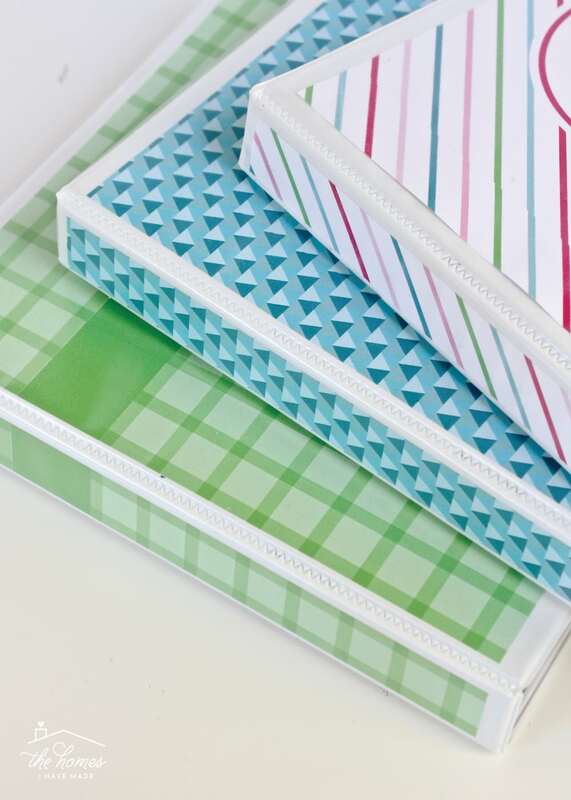 I’ve got options galore so get ready to print, cut and assemble the cutest organization binders ever! 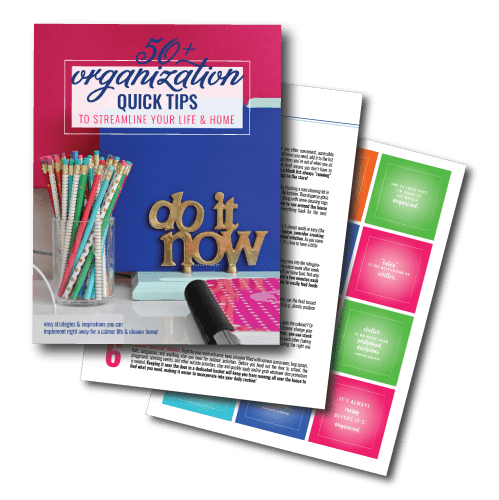 One of my goals with The Organization Toolbox is to not just provide useful worksheets and handy forms for various aspects of your life, but also to allow you to create unique and customized organization systems that look as good as they work! After all…you guys know my philosophy: if it looks awesome, you’re more likely to use, love it, and maintain it! 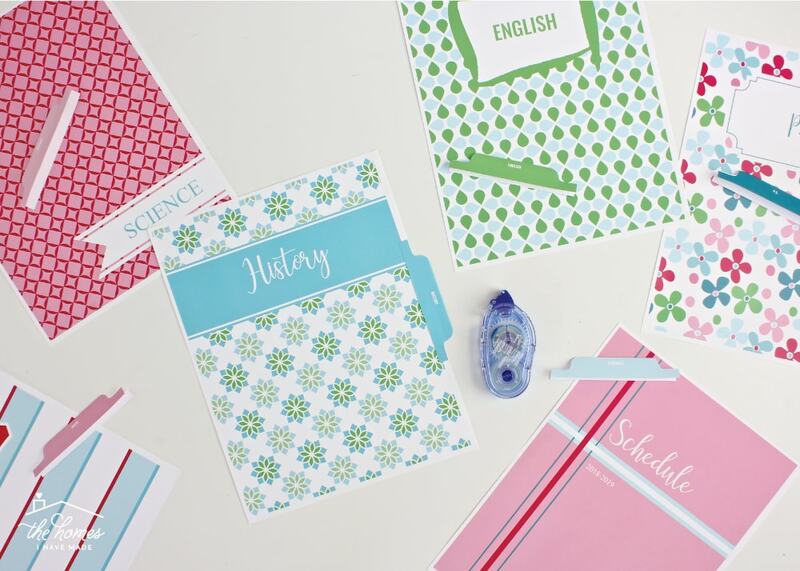 Binders have infinite uses across the school, work, and home settings; and they are, of course, the ideal solution for storing and organizing printables! 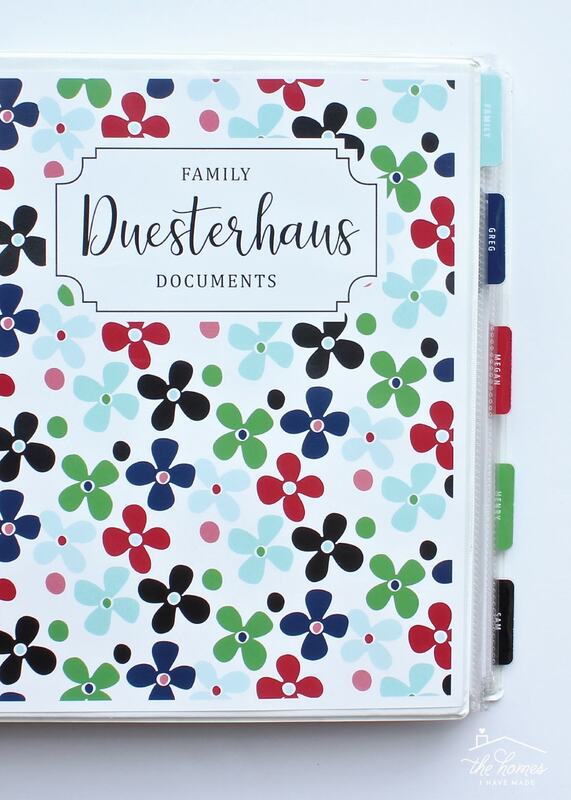 But why settle for a plain, generic binder when…with a little printing, cutting and pasting…you can have something personal…unique…customized…and colorful?!? I set out to create a series of printable covers, spines, dividers and tabs to perfectly match most of the kits already in the Toolbox. 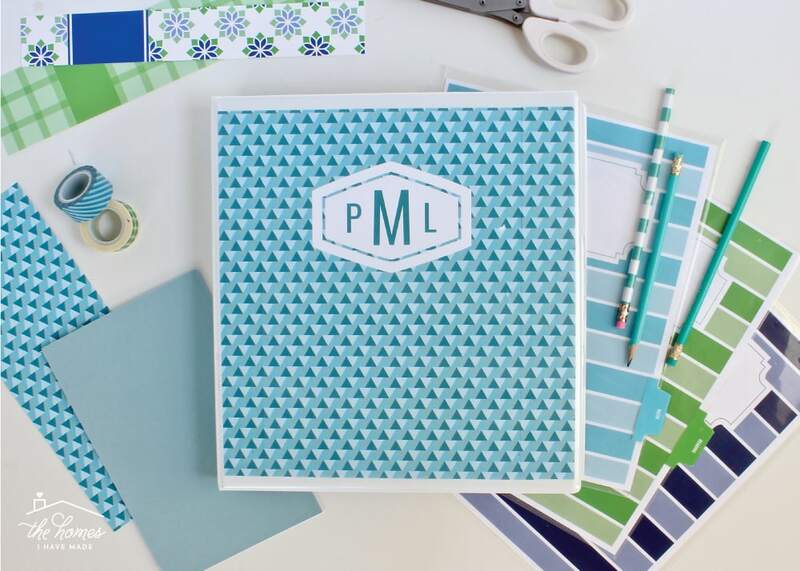 Whether you are making your own binders or simply want to add a cover to a kit already in the Toolbox, these kits will now enable you to create the exact binder you need for any occasion. 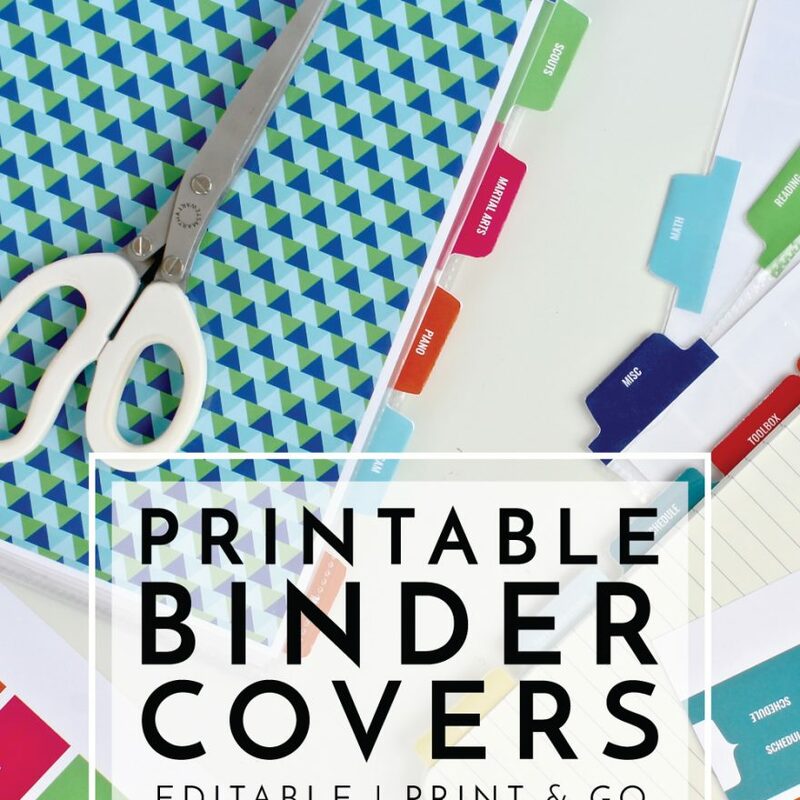 My brand new Printable Binder Covers and Tabs kit(s) contain 35 color-filled, fully coordinating pages and include 10 cover options, 10 pattern sheets, 3 tab options, and 6 divider pages. Oh – and did I mention all 35 pages are available in 5 different color schemes? Yep…seriously! 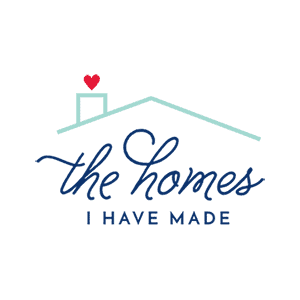 Today I want to show you not just the awesomeness inside these kits, but also demonstrate the various ways to put them to work! 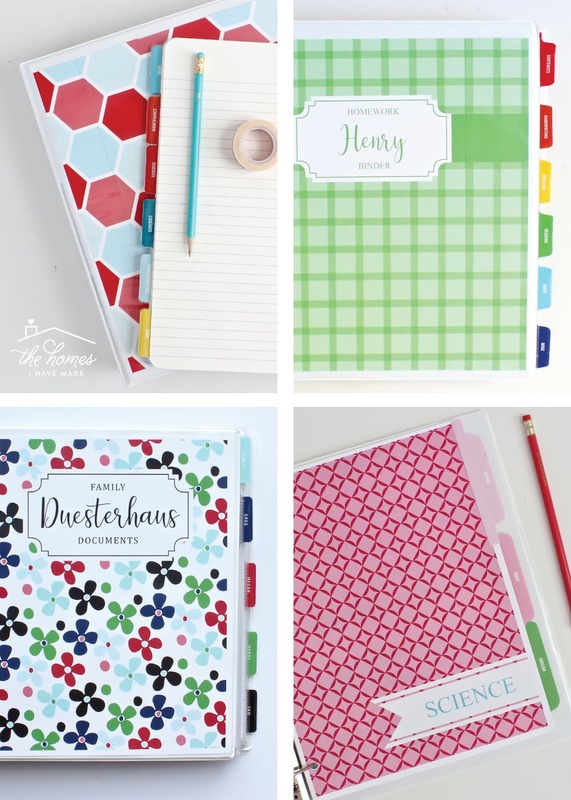 Each of these 5 new kits are exactly the same from the patterns and layouts to the fonts and tabs designs…they only differ in their color schemes. 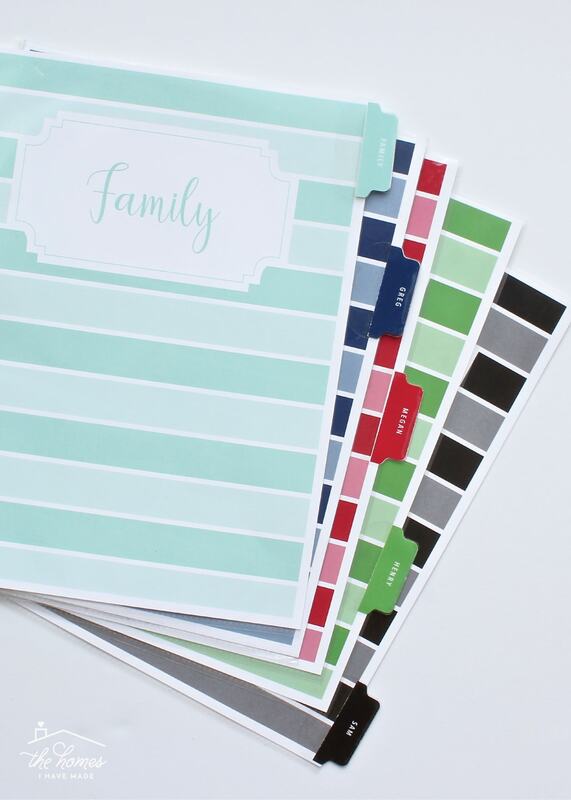 The Printable Binder Covers and Tabs kit is available in the following five color schemes. What about the Cools color palette? 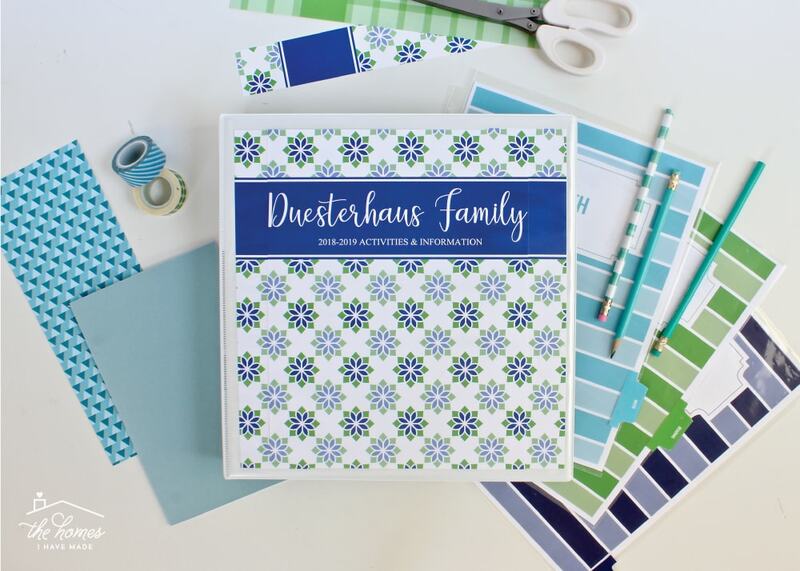 I chose not to include the blue/green color scheme in this release since there is already a full kit of printable covers and spines as part of The Ultimate Kitchen Printable Pack! 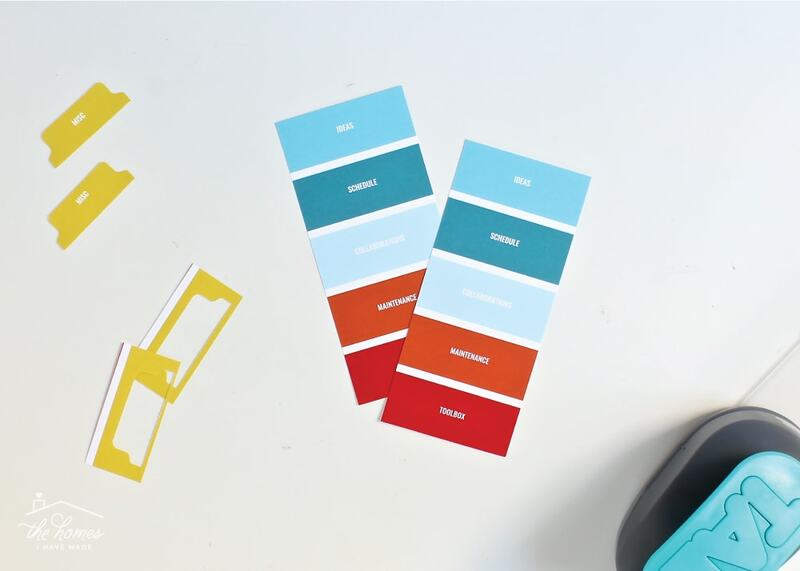 So…if you are hoping to create binders in the Cools color scheme, there are options for that too! 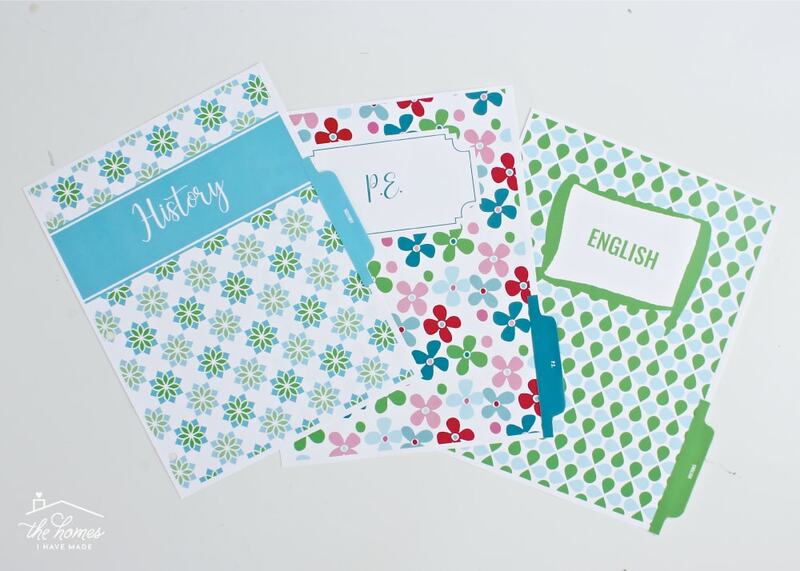 The highlight of these kits are the 10 different Binder Covers, each featuring a unique pattern and label design. Not only can they be mixed and matched to your heart’s content, but they feature fully editable text boxes allowing you to customize them for pretty much any person or any use! All of the binder covers in these kits are designed to be printed on standard 8.5×11″ paper, meaning they are truly print-and-go! 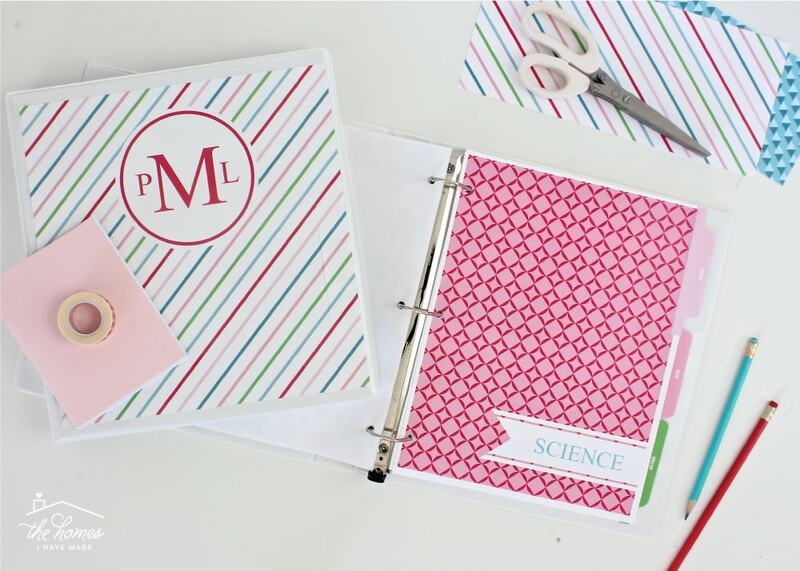 Each of the 10 binder covers comes in a label version (to use for personalization) and a blank (non-labeled) version (for spines and extending the cover). 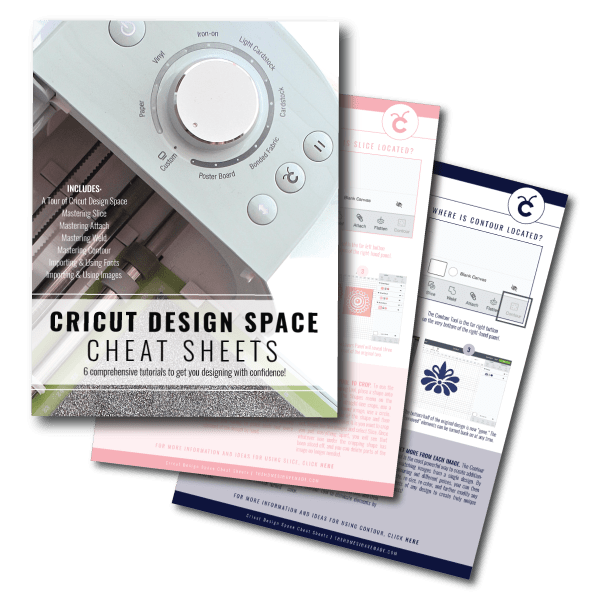 You can certainly use the solid patterned sheets however you wish, but if you hate those white margins too, here’s how to use both the labeled and non-labeled covers to make a custom-sized cover. 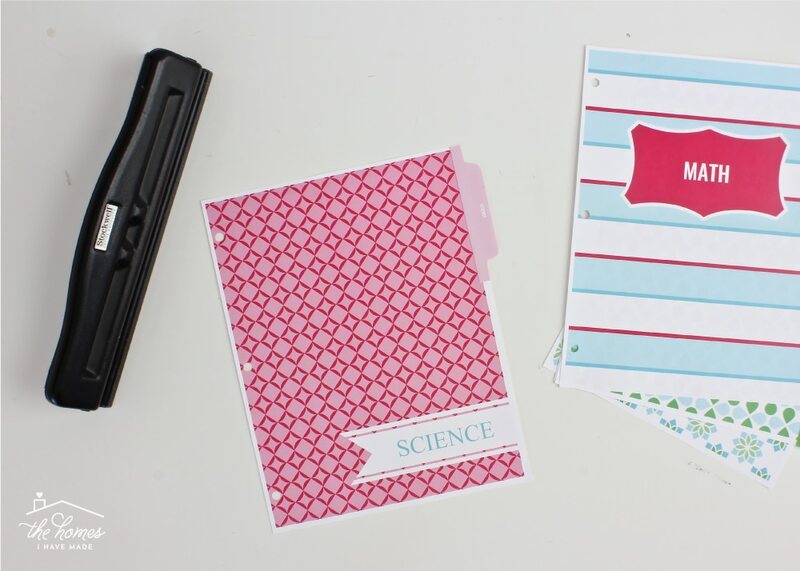 Use a paper trimmer or scissors to slice off any white margin on both sheets of paper (below left). 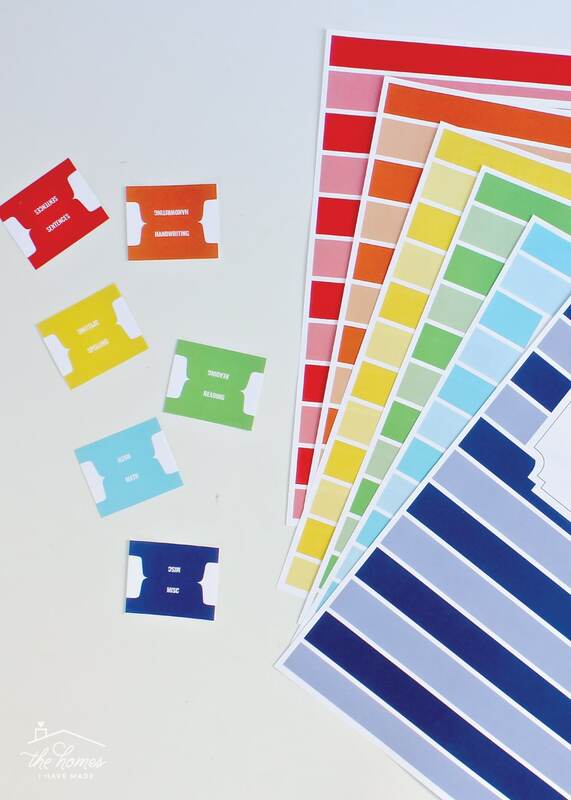 Taking care to match up the pattern perfectly, use double-sided tape or roller adhesive to attach the non-labeled sheet to the right side of the labeled pattern sheet (below right). Measure ~5″ (adjust if you have a bigger binder) to the right from the center of the label (in my case, the center of the M) and trim with a paper cutter. The right side of your extended binder cover is complete. 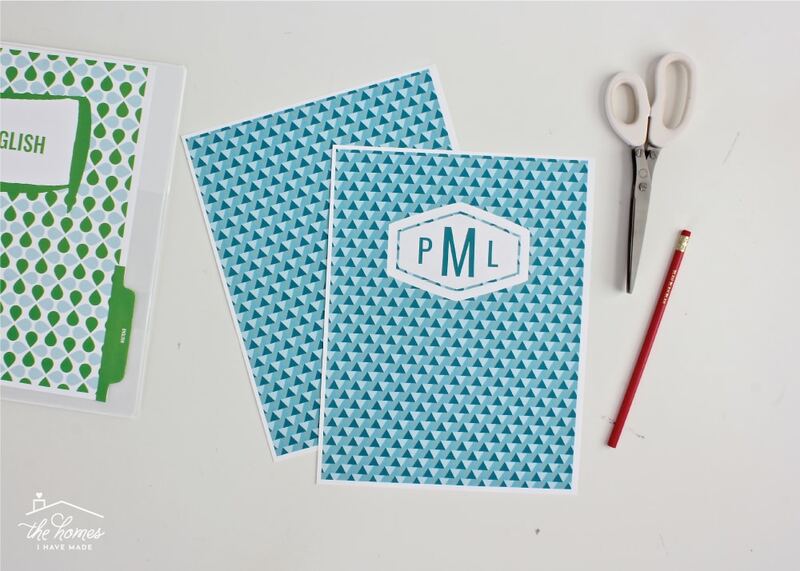 Take the remaining slice of patterned paper and attach it to the left side, just as you did before. 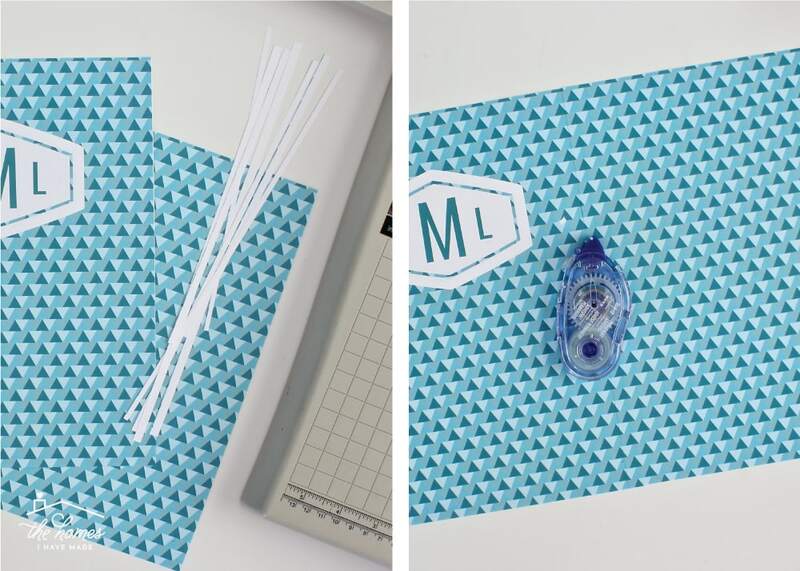 Use the paper trimmer to slice down the entire sheet to 10″ (or whatever dimension your binder is). 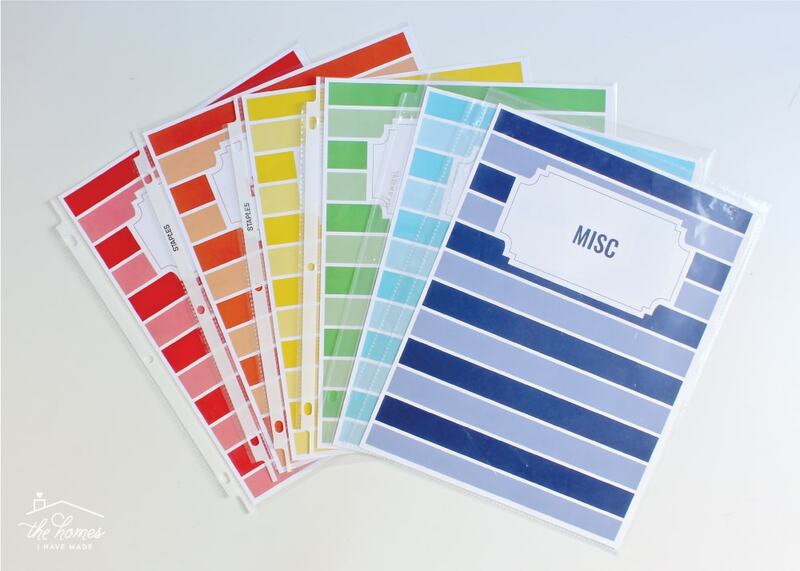 Now you have a 10″ wide binder cover with you’re label in the center! 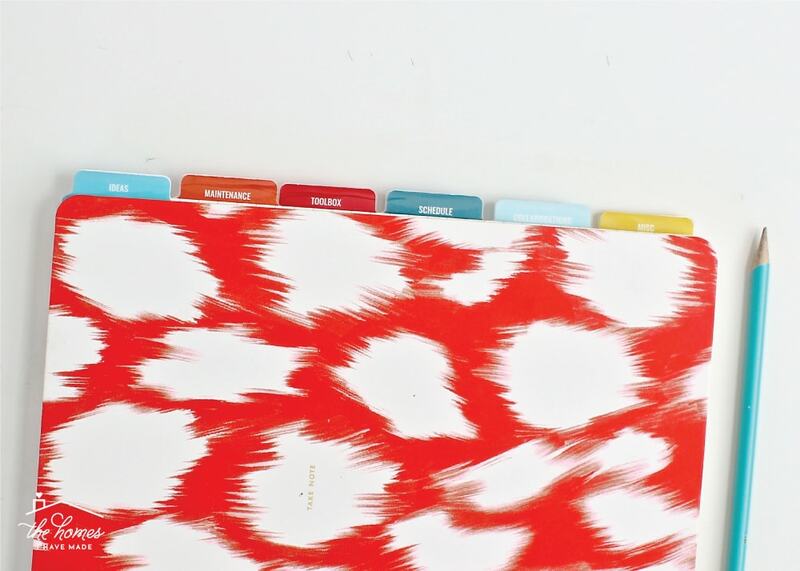 Use any excess patterned paper to create a custom-fit spine for your binder! While each of the 10 cover options have editable fields for customization, three of the 10 include pre-formatted monograms (insert more giddy emojis here!) Adding your unique letters couldn’t be easier! Start by opening any of the PDF kits in Adobe Acrobat Reader. 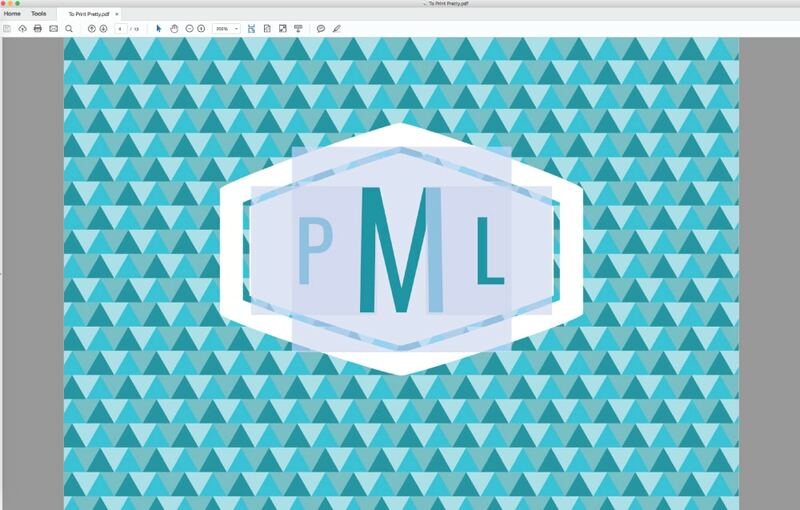 You’ll notice right away that the monogram covers have three unique editable text fields (one large, two small). The colors, size, and font of these fields are pre-set, so all you need to do is type in your letters and print! 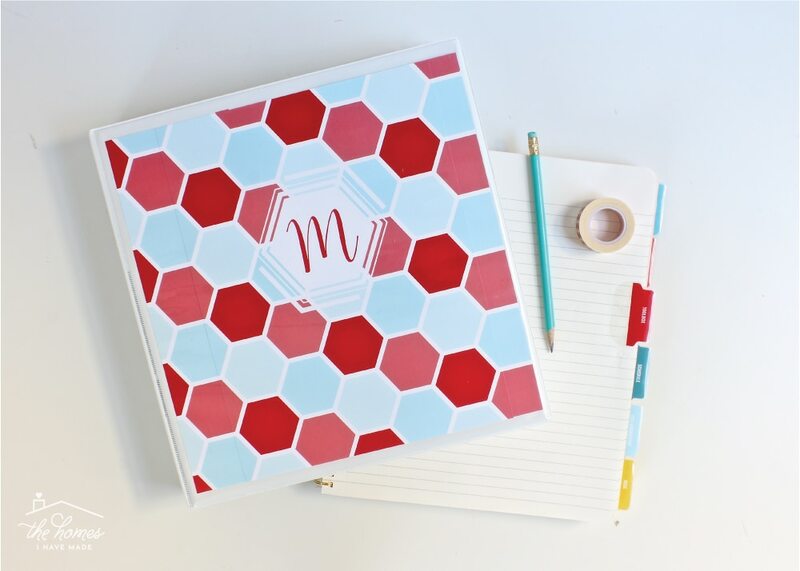 The triangle and striped covers feature a three-lettered monogram while the hexagon cover features a single letter (which is edited the exact same way)! In addition to the 10 patterned covers, each kit also includes 6 sheets with coordinating two-tone stripes. These sheets can be used as covers themselves, but I like to use them as the divider pages inside my binders. 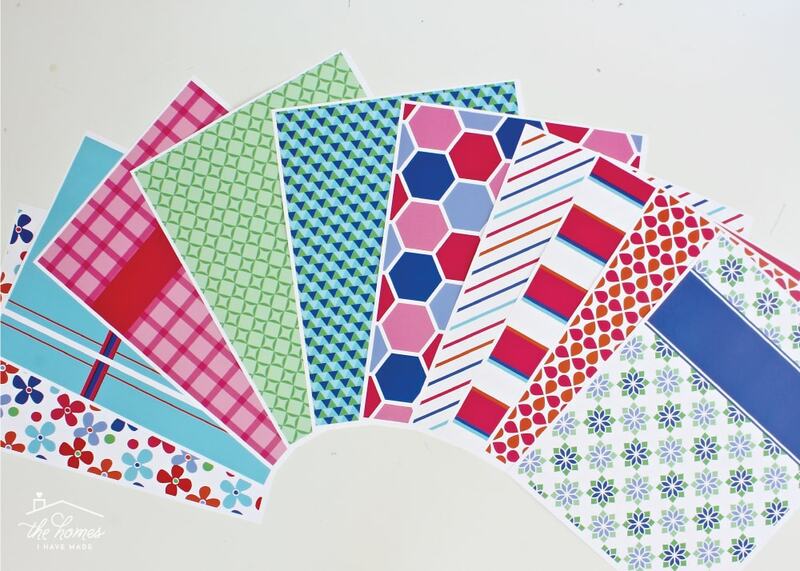 There are lots of different ways to make dividers using these printables. Here are just a few! My absolute favorite way to make dividers for my binders is to first type my category names into the label boxes on the striped pages. I then print them onto cardstock and slide them into clear page protectors. Once I add tabs (which I’ll show you how to do in a minute), I am left with 6 beautiful coordinating dividers for my binder! However, if there was one thing I wanted to give you with these kits, it was flexibility…so you can make dividers however you wish! 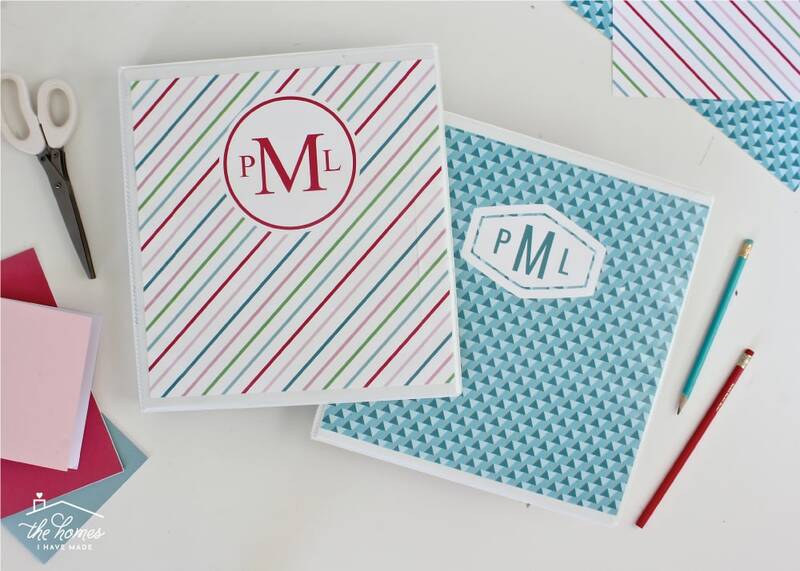 Below, I used several patterned covers from the Pretty kit as dividers for a school binder. After typing a different subject onto each cover, I printed them onto heavy cardstock and simply punched each one with a three-hold punch. 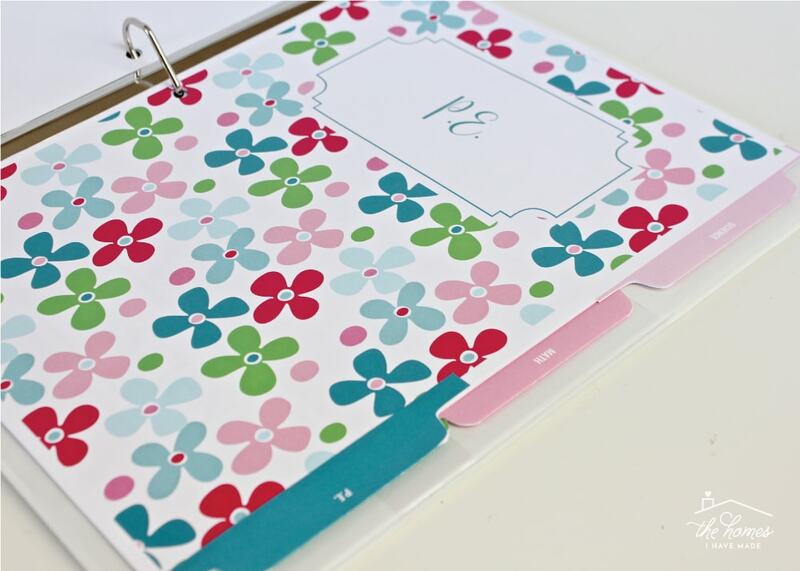 The heavier paper (plus the tabs) help them stand out as dividers among a binder full of paper. Another option is to not use the labeled covers at all! For our School and Activities Binder for this year (see more about this system here), I just printed the non-labeled pattern sheets double-sided onto heavy cardstock. 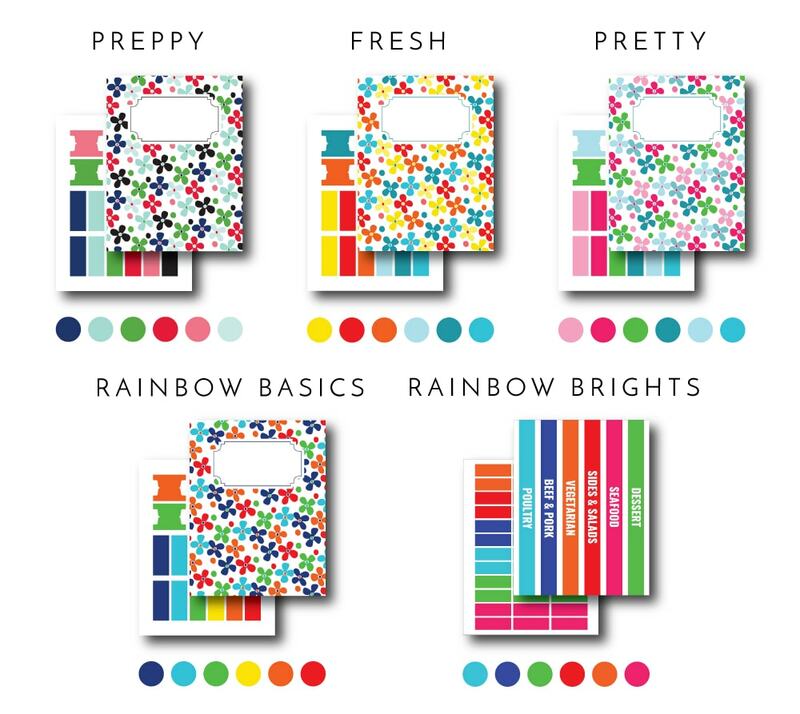 The tabs help me know which section is which; and boy I just love those bright splashes of color as I page through! 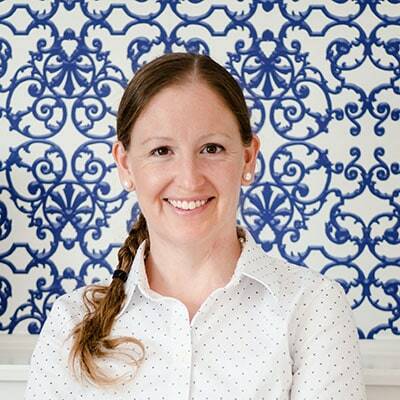 Alright, friends – let’s talk about tabs!!! You’re now going to see what a serious paper/office supply geek I really am! 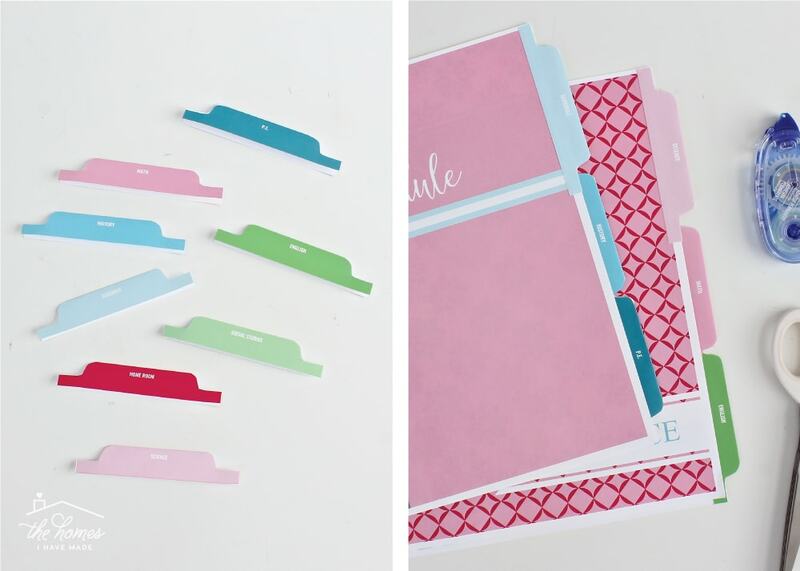 I’ve always loved that my printable kits color-coordinate, but I always hated having to rely on store-bought dividers and tabs (that obviously didn’t match) to keep everything organized. Well, no more! 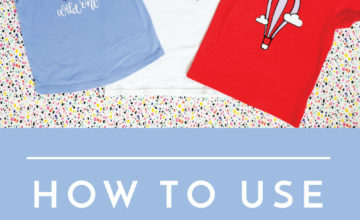 These kits have three different (and VERY easy!) 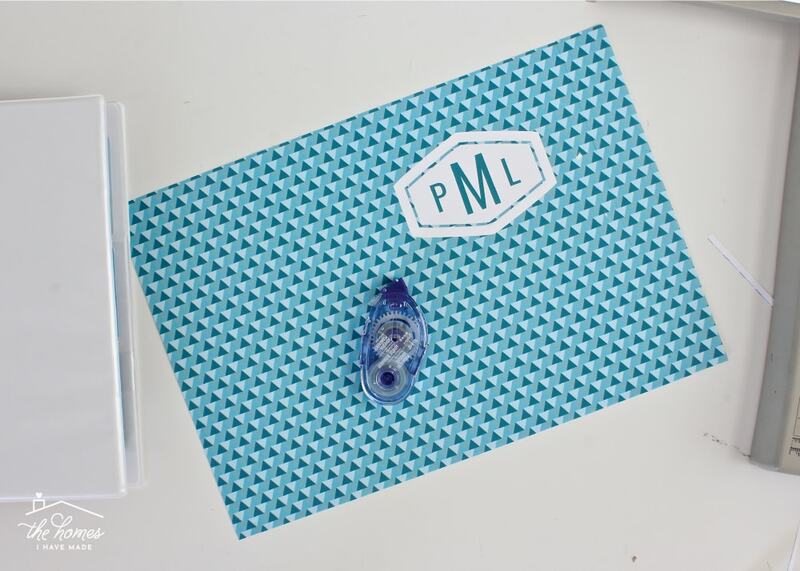 ways to make perfectly coordinating tabs for any binder system you are putting together! 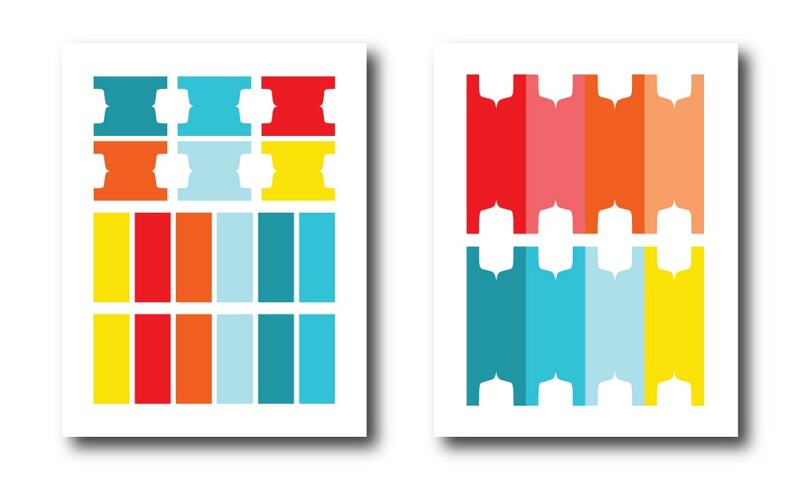 There are two pages of color-coordinating tabs in each kit. 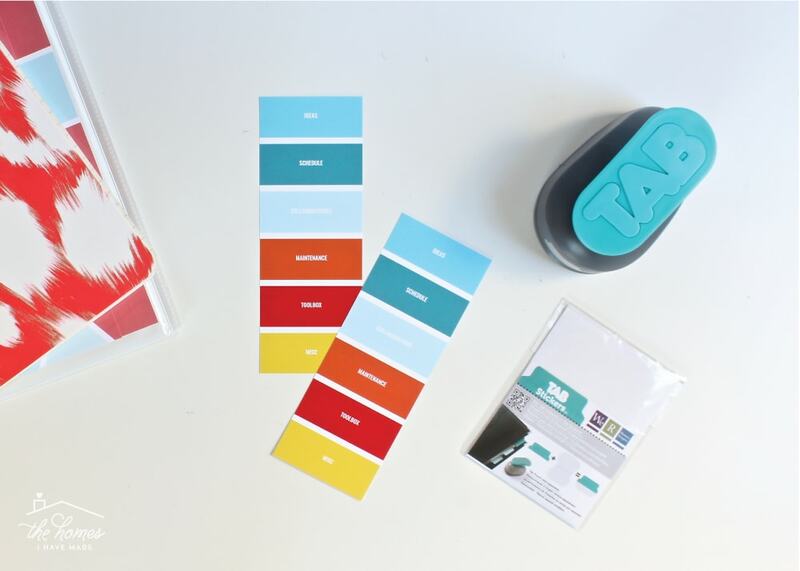 The first page has small print-and-cut tabs, as well as colored boxes (which can be used for various tabs such as these and these); the second page has 8 color-coordinating tabs that are larger. All of these tabs have editable text fields so you can type in whatever you need on your tabs! 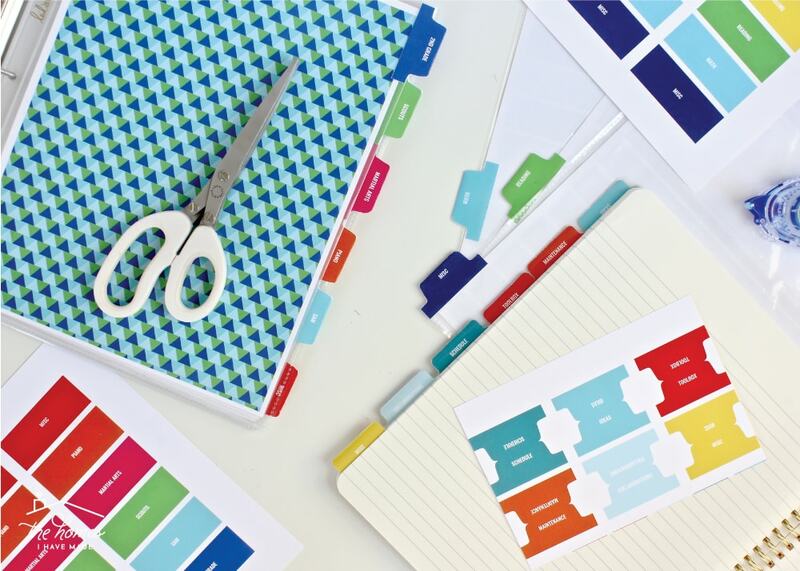 The first option is to make the small tabs using only paper, scissors, and tape. These tabs are sized to fit 6 down a page, and color coordinate with the 6 colors used throughout the rest of the kit. After typing in your category names onto the tabs, print them out onto printer paper or cardstock. Next, cut out each tab shape with a paper trimmer as shown below (note that I didn’t cut out the notches). Next, fold each tab in half, as shown below left. Once folded, use a sharp scissors to cut out the white notches on each tab. 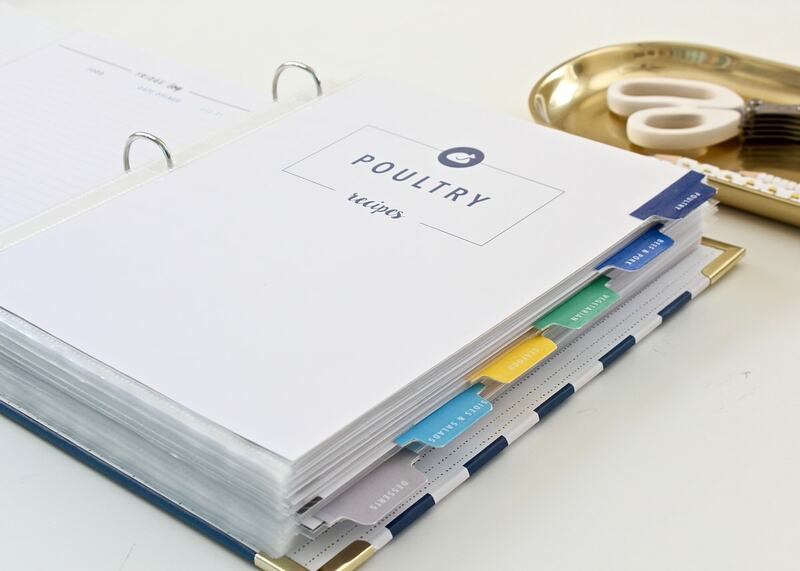 Whether you have your dividers inside page protectors or printed onto thick cardstock, use roller adhesive or double-sided tape to attach each tab to the right side of the corresponding divider page. I like to use the white margin on the divider page to line up the horizontal placement of the tab. Also, ensure you space them evenly down the length of all the pages. You may certainly leave your tabs just like this, but I like to make mine a little more durable. Sending a sheet this wide through a laminator isn’t really an option, so I use the next best thing: packing tape! I simply wrap some packing tape over each tab (front to back) and then use a scissors to notch out the corners. 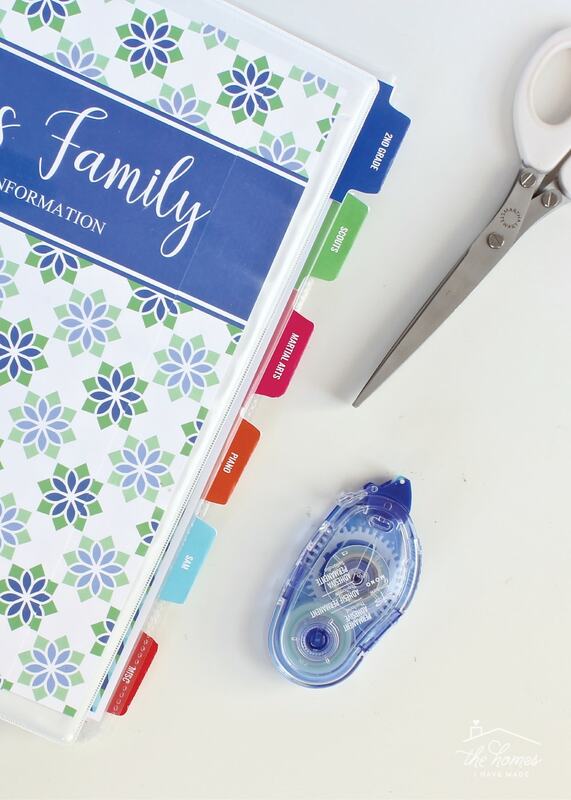 Not only does this step make your tabs a little more durable, but the tape ensures they will stick long-and-fast to your divider pages! I first made tabs like this for my Kitchen Binder 18 months ago and they are holding up AWESOME! I love that they perfectly match the rest of the printables in the binder, I can type in my own categories, and they look clean and tidy! The same method can be used to make bigger tabs. Simply edit and print the larger tabs, then cut and attach the same way as I showed above. Getting the spacing on the larger tabs is a bit easier since they only run 3 down the page. I recommend starting with the middle tabs and then spacing out the top and bottom ones accordingly. 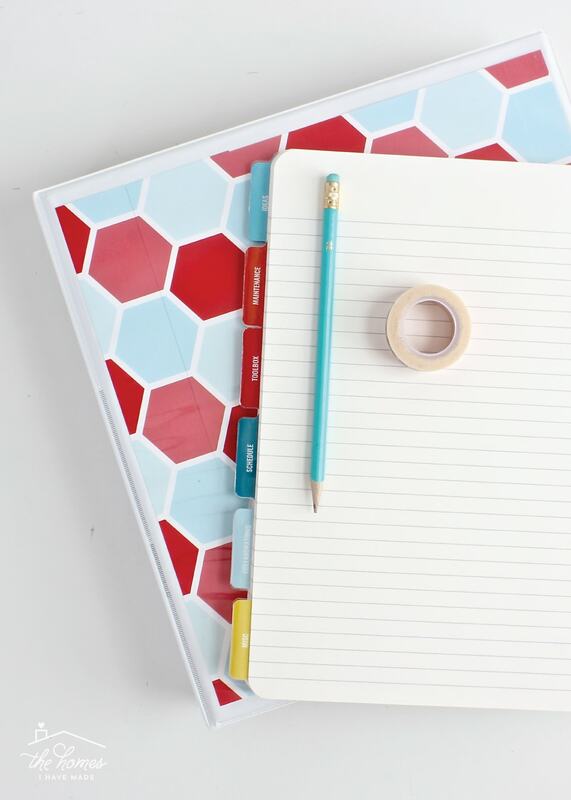 Between all the various patterns, tabs, and dividers, who’s ready to make a full set of coordinating supplies for the school year ahead?!? 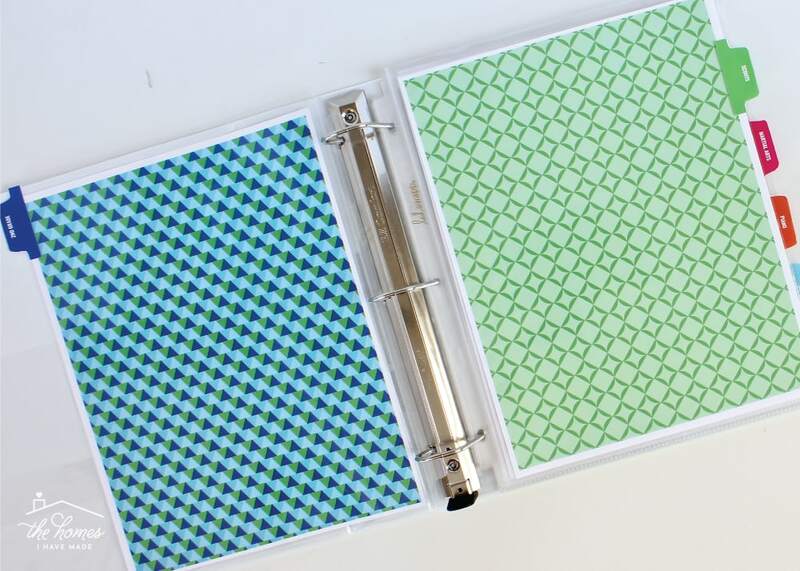 I want to show you one more way to make coordinating tabs for your binders using these printable kits. 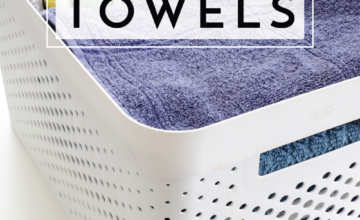 This way is new to me, and I have to admit I LOVE how easy and clean these tabs are! This method is how I made the tabs for our family’s Important Documents Binder I just revealed last week. 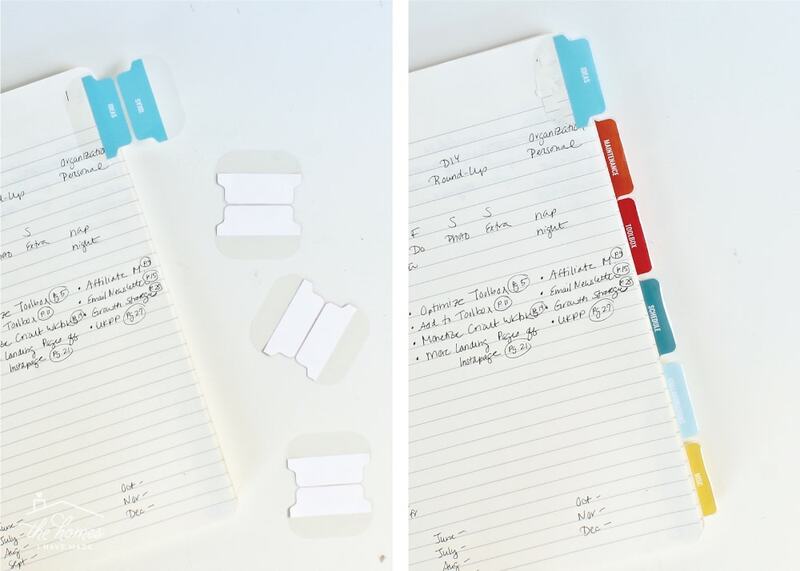 In addition to making tabs for binder dividers, this method is also ideal for adding tabs to any notebook. 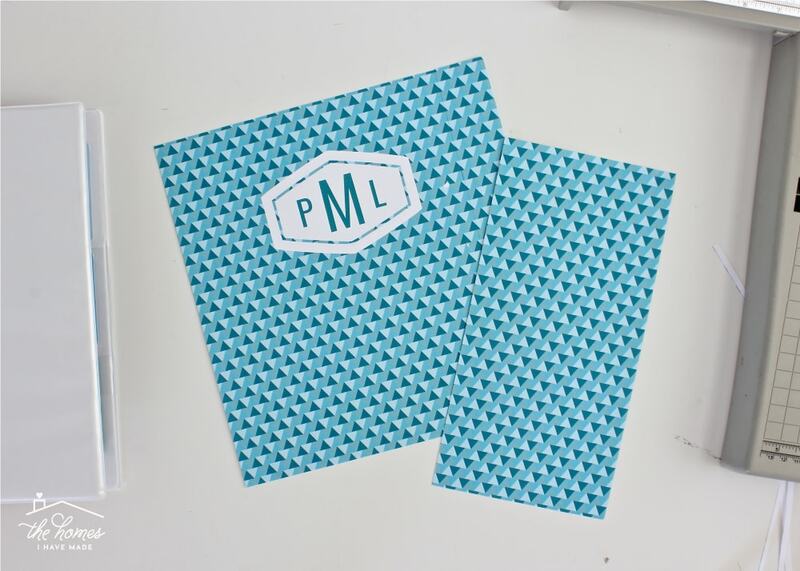 Below, I made a coordinating binder and notebook for all my blog work! 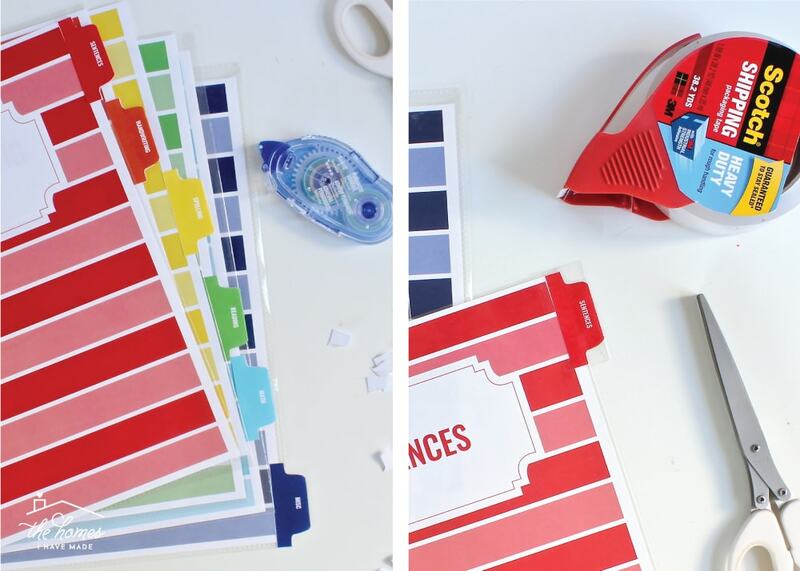 This method combines the editable colored blocks in my printable kits with this awesome Tab punch and stickers by WeRMemory Keepers! 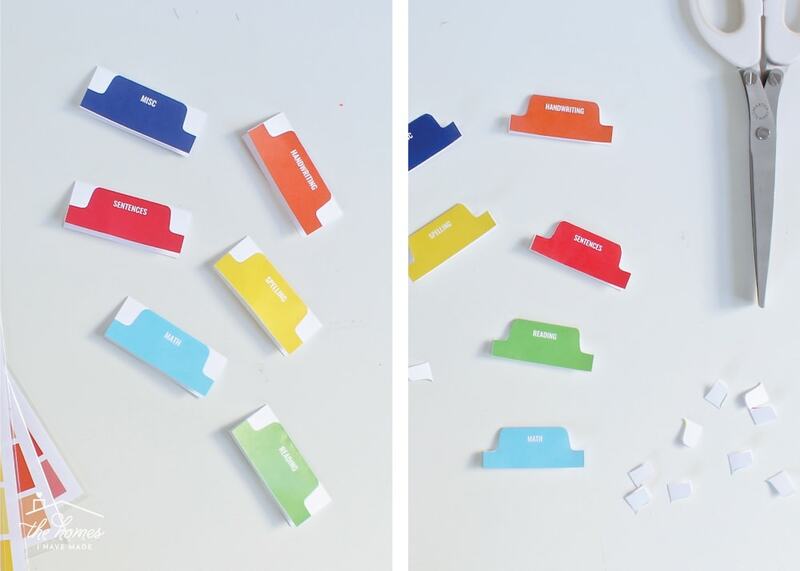 Start by trimming down the colored blocks, as show above, with a scissors or paper trimmer (Note: You’ll need to cut two of each tab for double-sided tabs!). Then, flip the Tab Punch over (so you can see what you’re doing) and center the bottom tab in the window. Punch out the tab. 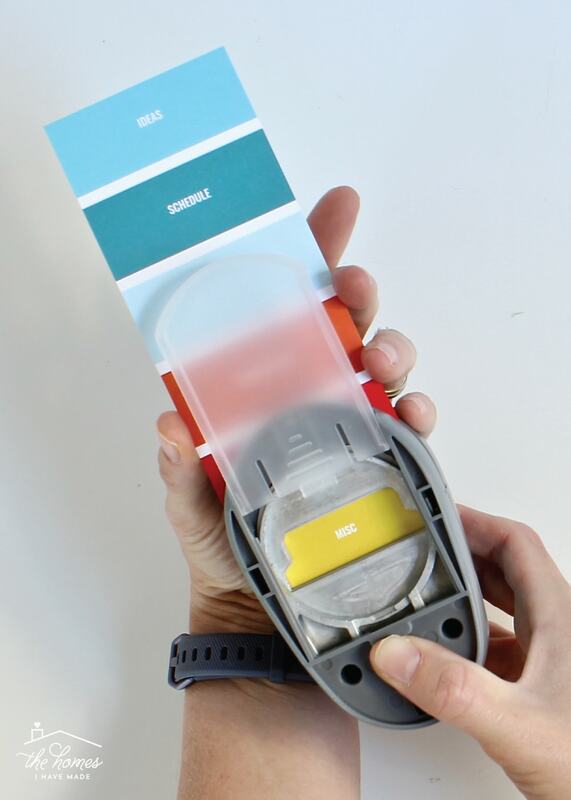 In order to keep punching tabs, you will need to slice off each color block as you move up the strip. 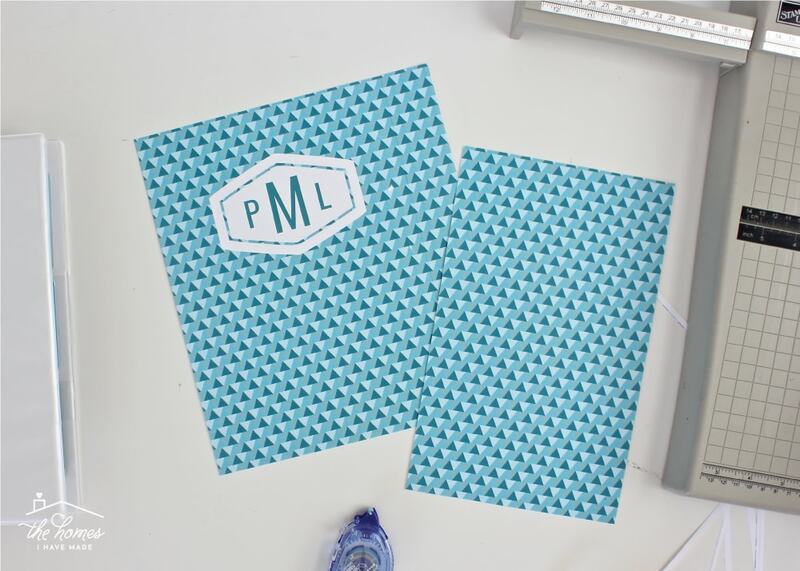 Next, peel off the clear adhesive tab stickers from the paper backing and place them sticky-side-up on your work surface. Place the two matching punched-out tabs, colored-side down, onto the sticky adhesive, making sure that everything is straight. Before applying your tabs, spend some time figuring out your tab placement. These are sized to fit 6 down the page, but you can use as many or as few as you need. 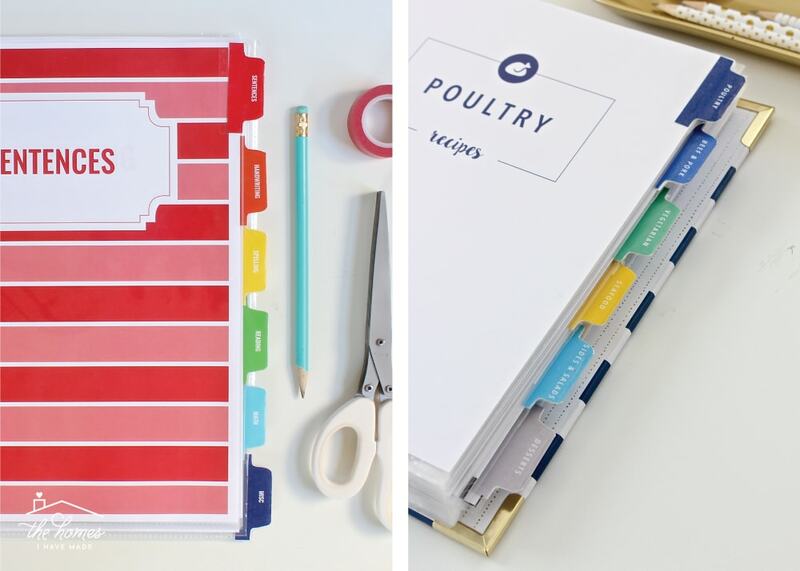 Once you know where they should go, fold over the tabs along the edge of your dividers/pages. The adhesive tabs will stick, holding everything in place while creating perfectly “laminated” tabs down the side! 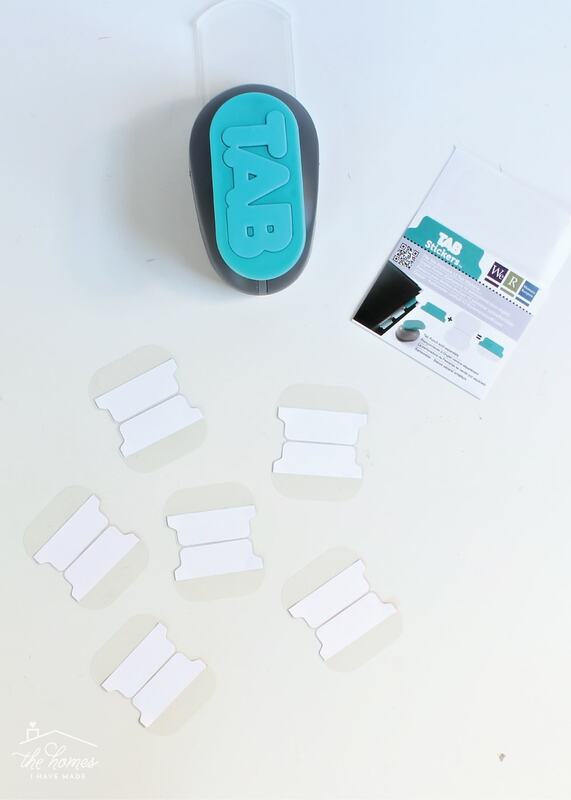 These clear tab “stickers” create the same durable results as the packing tape shown above, but in a much quicker and cleaner way! This is seriously my new favorite product! 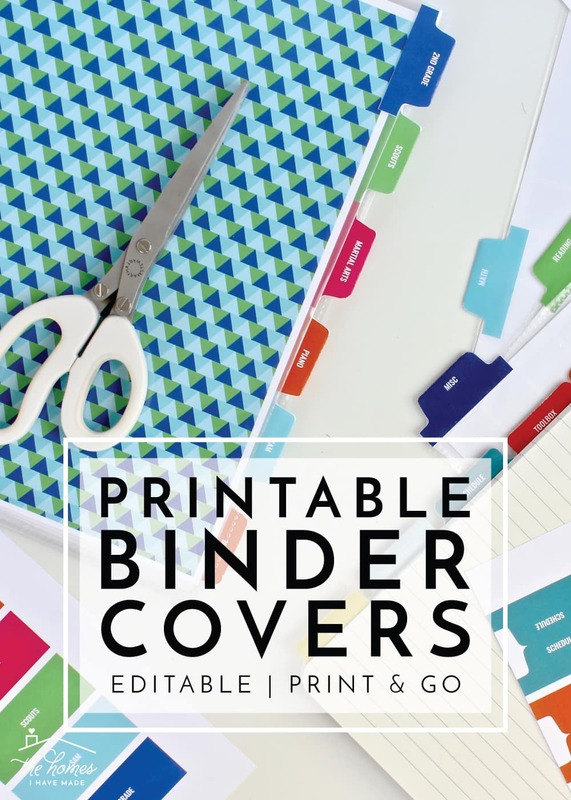 All 5 Printable Binder Covers and Tabs Kits have been uploaded to The Organization Toolbox and are available for download right now! If you can’t already tell, I am practically giddy over these latest kits. 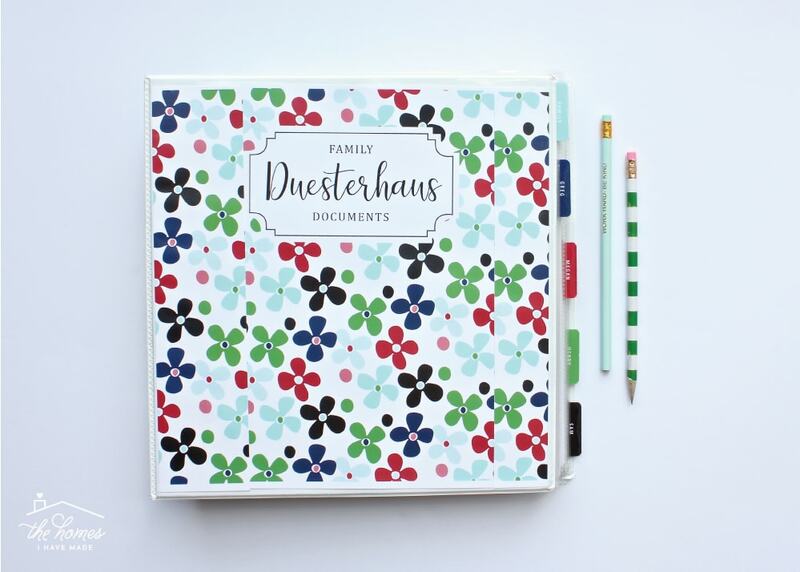 With 5 color schemes to choose from, there are SO many possibilities for creating binders that are coordinated, customized and just so YOU! 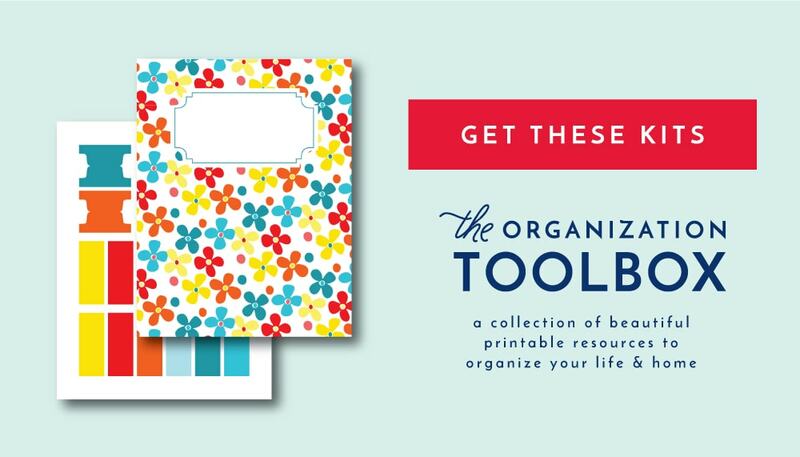 Whether you want to use these in conjunction with other the kits already in the Toolbox or want to create a binder for your own personal needs…get to it, my friends! 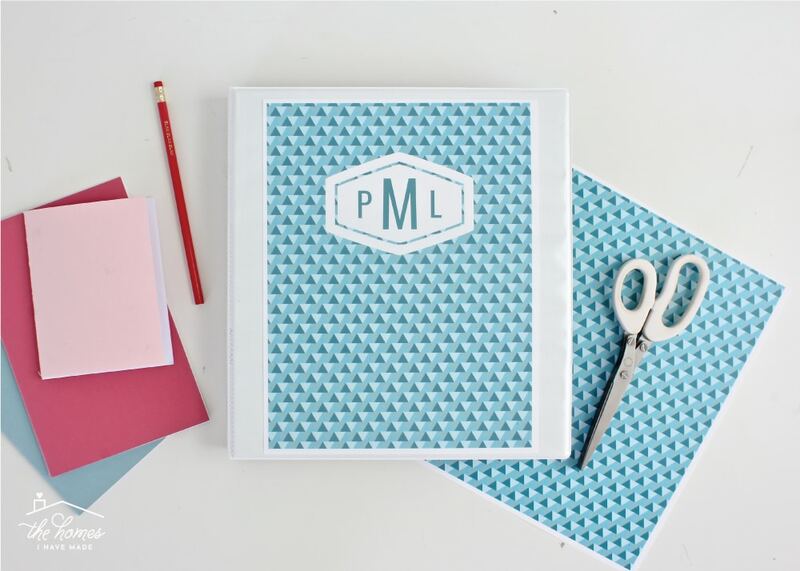 Because the only thing more fun than looking at all these pictures of pretty office supplies is creating them yourself! The paper organization train keeps on rolling! This Friday, I’ll be back sharing our secrets to corralling, sorting, and storing aallll the kid’s papers!!! Oooh! 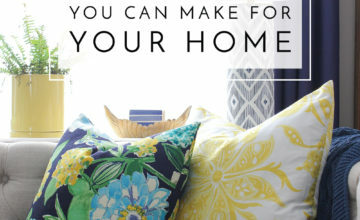 I’m super picky about graphics and patterns. I usually only like 2 or 3 from a set but I LOVE 8 out of 10 here. Now I have excited jazz hands too!